Nearly 30 train drivers call in sick in apparent protest. Nearly 30 Israel Railways drivers called in sick on Wednesday morning in an apparent protest over plans to begin using an electronic timetable that will track their hours at work. There have been mild disruptions to the train schedule, and further scheduling changes are expected. On some lines there will be only one train Wednesday instead of two. 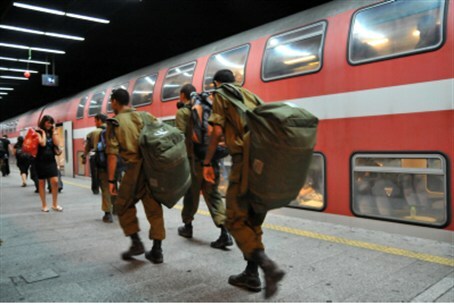 The Marker reports that Israel Railways managers are flying drivers who are currently at a conference in Eilat to central Israel to replace their colleagues. According to Galei Tzahal (IDF Radio), managers have also sent private doctors to the homes of the drivers to check their alleged sudden illness. Railways managers are preparing to turn to the Histadrut national labor union and ask it to stop the apparent strike, which could seriously impact the railway system if it continues.